Info Norbert Nolty Chabert was born and raised on bayou Petite Caillou. The son of Leonard J. Chabert of Cut Off and Viona Lapeyrouse of Chauvin, "Norby" grew up on the banks of Bayou Petite Caillou in the community of Lil Caillou. He attended Upper Little Caillou Elementary, Lacache Middle and graduated from South Terrebonne High School in 1994. In 2001, Norby received his Bachelor of Arts degree in Government from Nicholls State University. After graduation, Norby began a successful Governmental Relations career. Over the years, he has served as an aid and advisor to both Republican and Democrat federal, state and local officials across Louisiana. Following the vicious storms of 2005 that saw the family home he was born and raised in be flooded with over 3 feet of water, Norby left behind political consulting to be closer to friends and family to aid in their recovery. In 2006 he formed Chabert Development LLC, a Chauvin based Land Company. 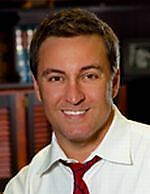 In 2008, Norby began a new career in the Presidents Administration at his Alma Mater, Nicholls State University, as Associate Director of Marketing and Development. In the community, Norby is a member of the Houma Rotary Club, The Krewe of Hercules, The Krewe of Terranians, K.C. Council 5013, The Maple Street Park Association and serves as a board member on the Nicholls Colonels Athletic Association, The Friends of S.T.H.S., and The Leonard J. Chabert Medical Center Foundation. Recently Norby resigned from Nicholls in order to campaign full time for the 90 day special election to fill the vacant State Senate seat once held by his father and his brother Marty J. Chabert. Norby has been a lifelong south Louisiana sportsman. More partial to a shotgun than a rifle, he enjoys duck and rabbit hunting. The only thing he loves more than cooking at the camp and playing cards is the time he can spend on Grand Isle with his family. Recently, Norby has moved to "Old Houma" near Maple St. Park, and hears the bells of St. Francis ringing every day. In the tradition of his pawpaw Abby and his Uncle T-Lloyd, he has taken up planting a tomato and cucumber garden for the past few years. Norby has never been married and shares his home with his hyperactive Boston terrier Dempsey.